Megastar Amitabh Bachchan has seen highs and lows in his journey from being Bollywood's "angry young man” to its "Shahenshah”. The actor says his determination and focus helped him emerge from the brink of bankruptcy. Amitabh Bachchan-starrer 'Paa' is celebrating it's fifth anniversary and the megastar thanked the film's helmer R Balki. Actor Abhishek Bachchan, who tasted success as a producer with the National Award winning film "Paa", says he's not a huge fan of producing movies. However, he's okay with the job as long as he isn't acting in the project as well. 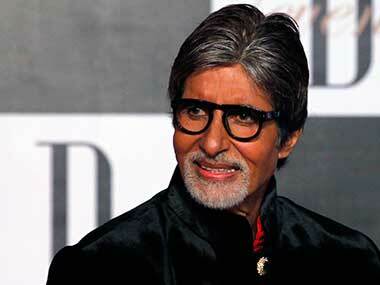 Amitabh Bachchan has been at the centre of the story. The actor celebrates his 72nd birthday today. Abhishek Bachchan celebrates his 38th birthday today. However, the actor didn't take a day off and is currently shooting for his upcoming film, Happy New Year. On his birthday, here's a look back at Abhishek's top five performances. Abhishek Bachchan turned 38 Wednesday and his father Amitabh Bachchan feels that it's time to turn his son's friend. Vidya Balan, who has delivered several hits including the national-award winning Paa and The Dirty Picture, says she does not feel the pressure to deliver as she chooses good scripts.